Oh my goodness this is darling!!! Lisette will love it too! Stunning card. 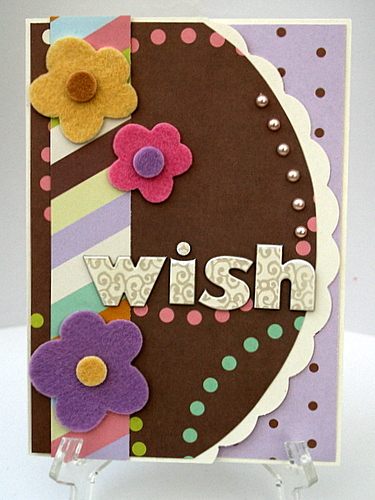 Love the vibrancy of the colours and those felt flowers are adorable. What a great card. I love all the embellishments.